When decorating their homes for the holidays, many homeowners make the mistake of overloading their electrical outlets. This is the number-one cause of fire during the holidays, and it’s easily avoidable. Only plug one high wattage appliance in each electrical outlet in your home. If you use extension cords or power strips, make sure they contain circuit breakers for an added level of protection. Do you still use incandescent lights to decorate your home for the holidays? LED lights are a better alternative, as they use less energy, last longer and reduce the risk of fire by burning much cooler. If you continue using incandescent lights, though, remember not to connect more than three strands. That’s because incandescent bulbs require more wattage than LED lights. When you connect three strands, it can blow a fuse or trip a breaker, causing a fire. Do you need help repairing frayed electrical wiring or damaged electrical panels? Don’t wait until it’s too late and your home has caught fire. 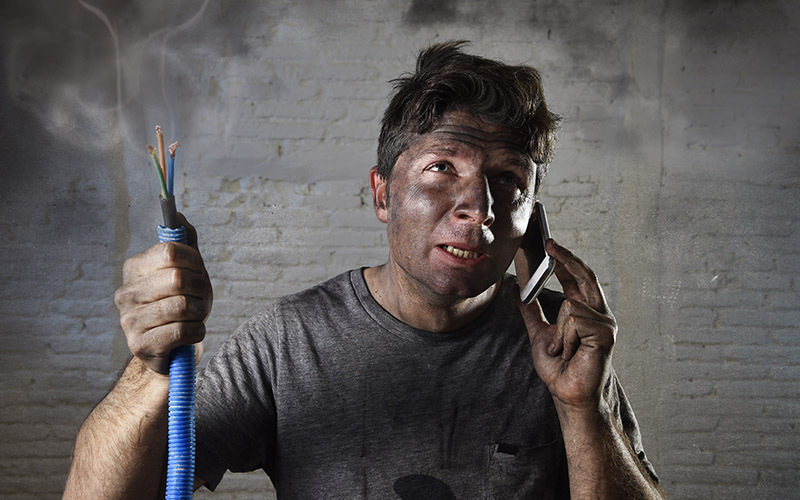 Contact Air Today at 704-893-1230 for expert help from a professional electrician.